As eggs were on the menu this morning (!) here’s some info about them. We have our own hens so we have lovely free range eggs every morning ! 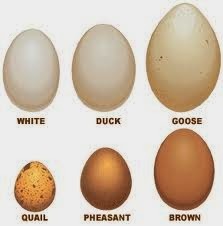 Eggs are a great source of protein and are so versatile in both savoury and sweet dishes. 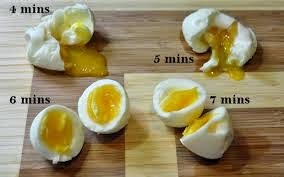 For those who are not sure how long to cook an egg for…..here’s a great guide ! It’s amazing how quick it can change from one texture to another ! Soft boiled - in a cup, dunked with bread/toast soldiers! Poached - Placed over a toasted bagel, topped with some bacon or streaky rashers (my favourite way!! Do you have any tips or ideas for baking/cooking with eggs ? I put a dash of vinegar in the water when i am poaching eggs it keeps the egg nice and white and keeps them from breaking up.